Loyle Carner will head up a project to break down barriers in music education, Liverpool Left returns to District and Agent of Change event penned for North Docks, Getintothis’ Lewis Ridley with the news. 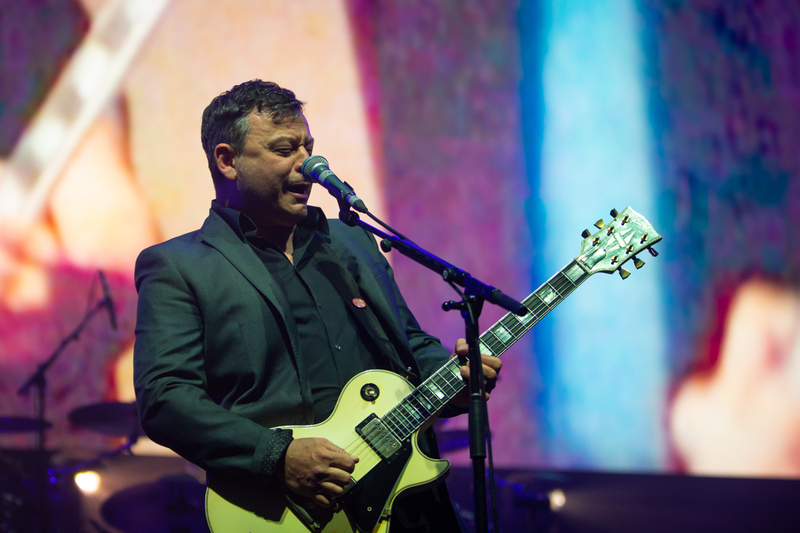 Manic Street Preachers have announced a huge stadium concert at Cardiff Castle for next June, when they will perform the whole of their classic 1998 album This Is My Truth, Tell Me Yours. It comes as an addition to the already announced UK tour of what was their fifth record, featuring singles If You Tolerate This Your Children Will Be Next and You Stole the Sun from My Heart. The tour includes dates in London, Manchester and Dublin as well as a night at Liverpool’s Eventim Olympia on Wednesday, May 30. Sunflower Bean will support the Welsh legends on Saturday, June 29 at the 10,000 capacity venue, their only current date in their home country. 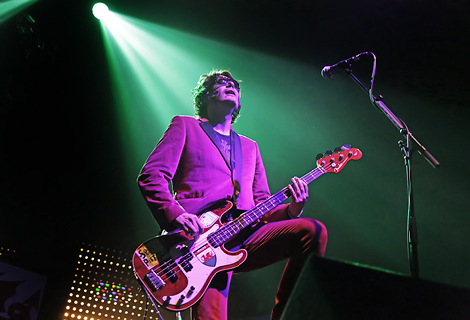 The Manics released their latest and thirteenth album, Resistance Is Futile, earlier this year. Sound City headliner Loyle Carner is expanding his partnership with Levi’s Music Project to Liverpool, where he’ll take over an Anfield community centre and open its doors to young musicians. Over the course of a six month period, which started on November 15, Carner will feature amongst a lineup of industry experts for a number of 1-2-1 sessions at the Liverpool Lighthouse community centre. The project will culminate at Sound City in May 2019, where Levi’s will take over their own venue to showcase pieces by young artists from the project to coincide with Carner‘s headline slot at the festival. Manchester’s Castlefield Bowl will once again host the Sounds of The City series next summer. Over six nights at the outdoor arena, a variety of world renound names will play including Elbow, The National and Kylie Minogue. 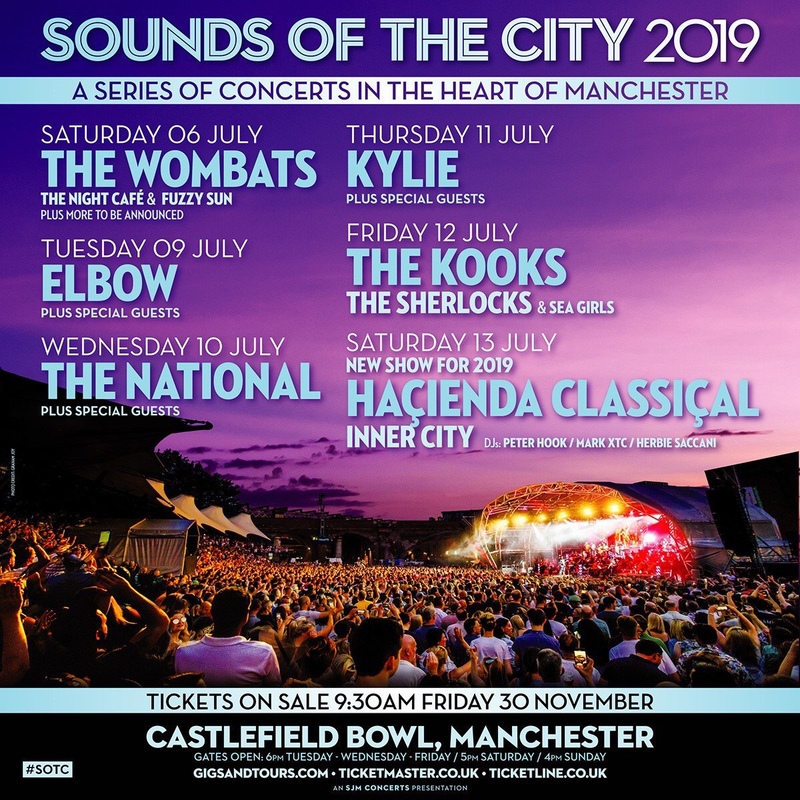 Also set to play are Liverpool band The Wombats, as well as former Sound City headliners The Kooks, before the final night on Saturday, July 13 featuring Hacienda Classical. Jo Mary are hosting a special event to raise money for the current crisis in Yemen. 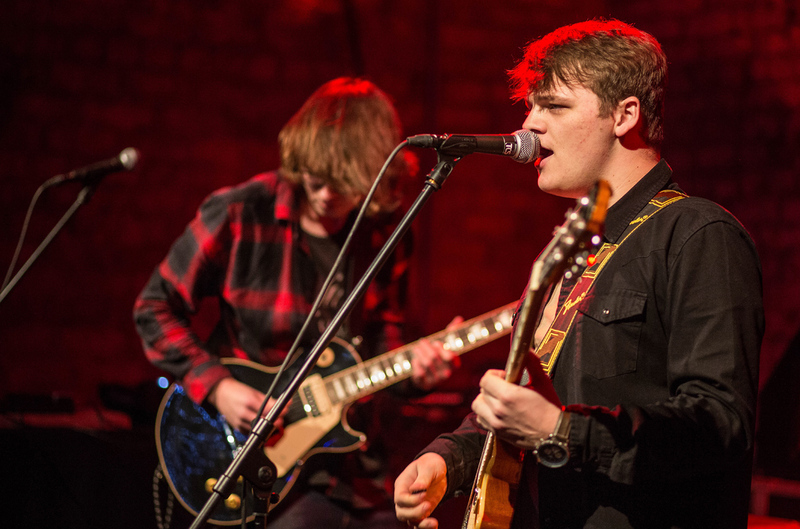 The gig, at Craft Taproom in Smithdown, is headed by the band who will be joined by Hannah and The Wick Effect, Silver Linings, Cow and Bill Nickson with more still to be announced. 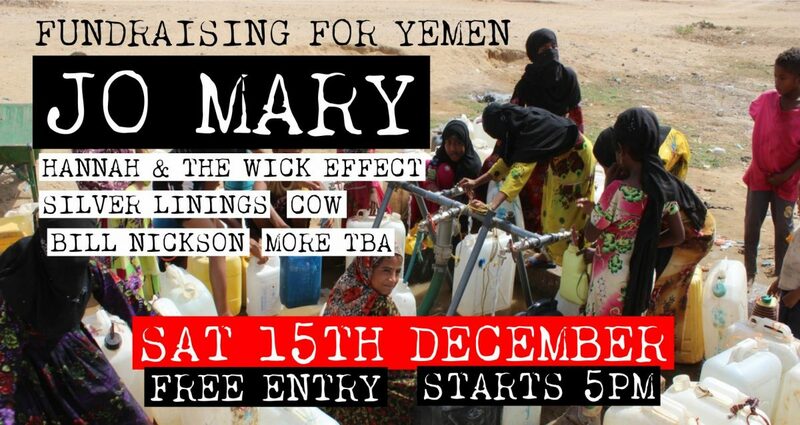 Yemen is currently in the midst of a disasterous civil war, and although the gig is free entry, there are donation buckets on the door on Saturday, December 15. Jo Mary have also announced the lineup for their Eggy New Year in their second home, Sound. Featuring Wild Fruit Art Collective andSPQR, who have just released their latest single. Beija Flo and Samuarai Kip will also perform as part of an 11 act lineup that has additions still to be announced for the event on Monday, December 31. The hugely successful Liverpool Left will host its next event at District next month. Coinciding with The Labour Party Conference in Liverpool in September, the weekend event featured The Farm and Cast‘s John Power. On Thursday, December 13, a night of working class fightback will begin with a screening of The Firefighters Story before speakers from Merseyside trade unions, Fans Supporting Foodbanks and yet to be announced local bands. The event is free entry and kicks off at 6.30pm. 2manydjs will play Invisible Wind Factory in February next year. Born out of their previous project, Soulwax, the Belgian exports have grown into a now world famous act with dates spread across Europe and the USA populating their schedule. The Belgian brothers make their Liverpool debut on Friday, February 1 in the form of a DJ set. 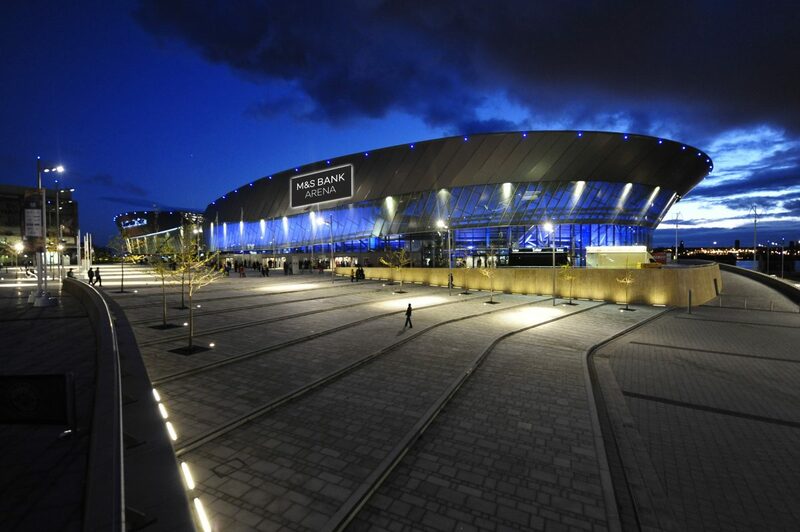 M&S Bank has been announced as the official naming partner of the Liverpool Arena, taking over from the Liverpool Echo. The partnership will see the 11,000-capacity music, comedy and events venue renamed the M&S Bank Arena early in 2019. The Liverpool Echo will continue its 10-year partnership with the arena as a key business partner. Finally, an evening seminar on entertainment noise and new planning laws around Agent of Change will take place at Make on Tuesday, December 18. There will be several short presentations and talks from varius people including planners, acoustic consultants, venue operators and event orgnisers, with a chance for questions and answers at the end and a chance to network and discuss informally after. We have two new tracks for you this week, first up an exclusive listen of Spin On from four piece Liverpool psych heads Marmalade. Their last release featured in August’s Deep Cuts, and they have returned with what is another subversive, burnt out Animal Farm effort. Steve Mason has also shared Walking Away From Love, the latest track to be taken from his forthcoming new album, About The Light, which is out on Double Six on Friday, January 18. The record is his fourth solo album following Boys Outside, Monkey Minds In The Devil’s Time and Meet The Humans. Having written most of his previous albums alone, About The Light marks a change in approach for Steve. “I decided with this album that I wanted to get my live band involved at every stage because I wanted to capture the energy that we produce when we play live shows, so this time the band and myself worked on a collection of songs over the course of last year,” he explains. You can listen to the track below.